100% of the diet of our grassfed animals consists of freshly grazed pasture and stored grasses (hay or grass silage.) Free-choice minerals supplentations may also be given as needed. 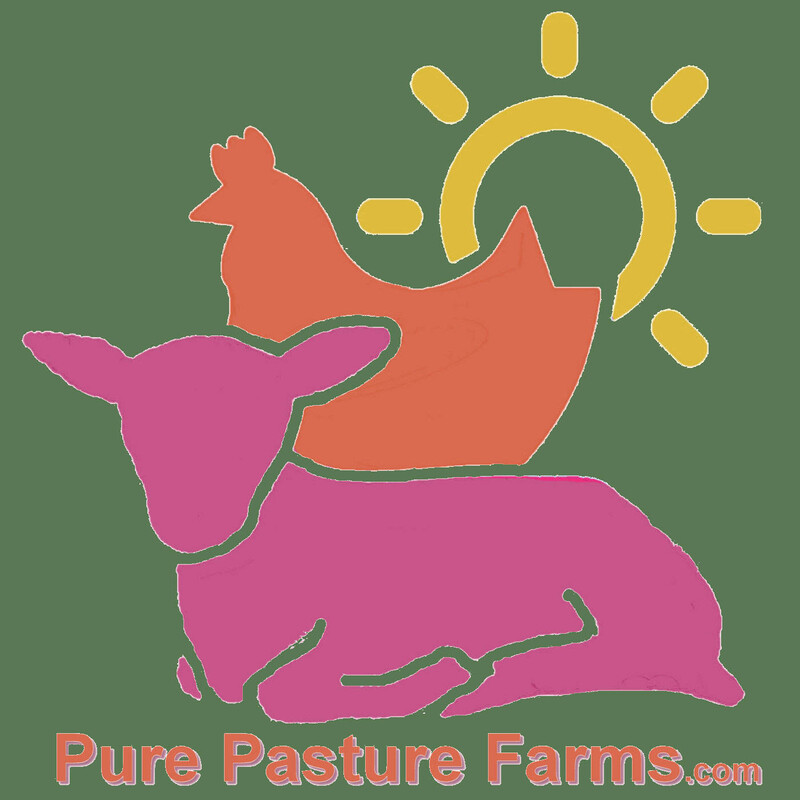 * Our natural production practices eliminates the need for sub therapeutic (daily fed low level dose) medications that are commonly used in confinement production systems. However, in certain cases to prevent animals from death or suffering we do allow for limited use of therapeutic (spot treatment) medication. In such cases the prescribed withdrawal period is doubled before animals are ever harvested. We feel that this exception is only practical to ensure wise stewardship practices and ethical treatment of our livestock. Animals raised without feeding genetically modified organisms such as GMO corn or soybeans. As the seasons allow animals are raised in the open pasture or field. Animals provided with free-choice non-GMO whole grains such as oats, barley, corn or soybeans.